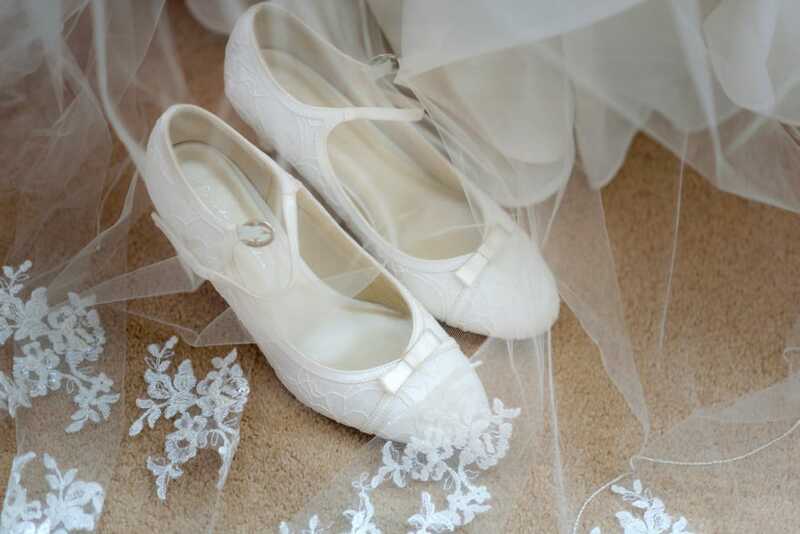 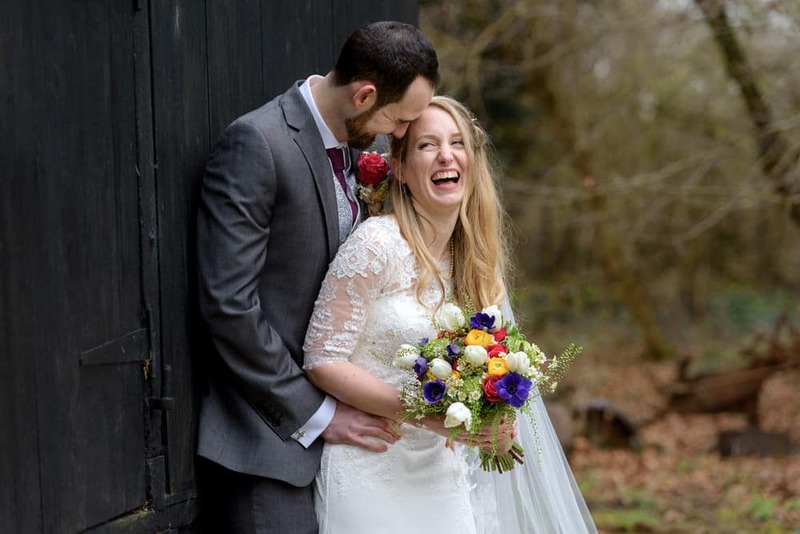 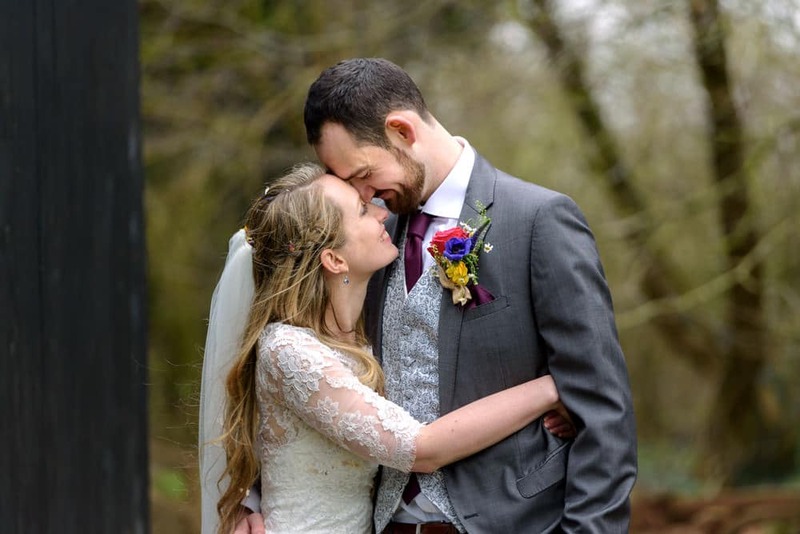 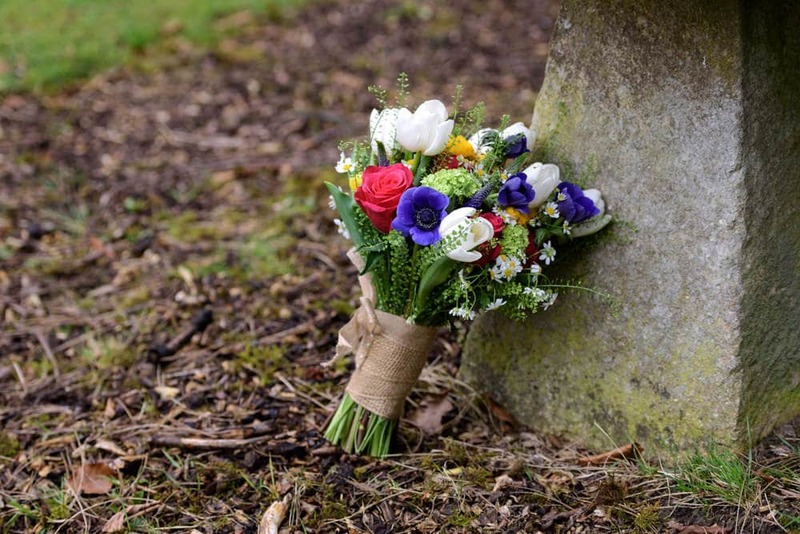 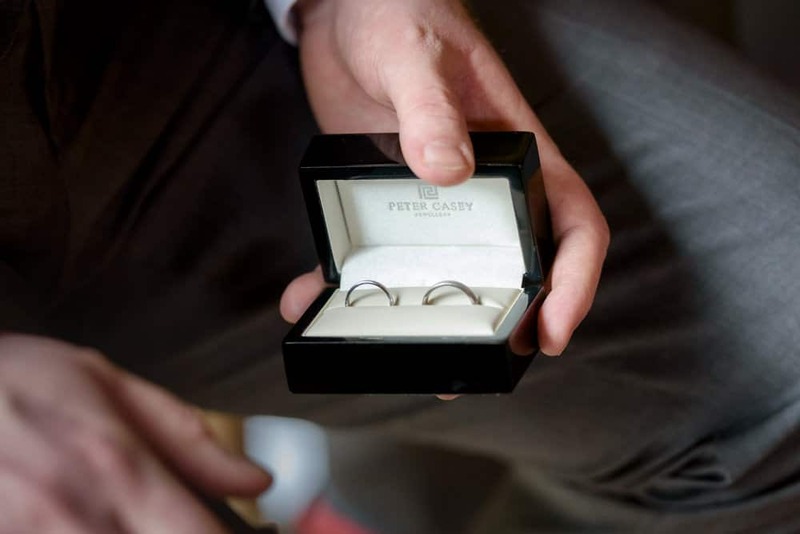 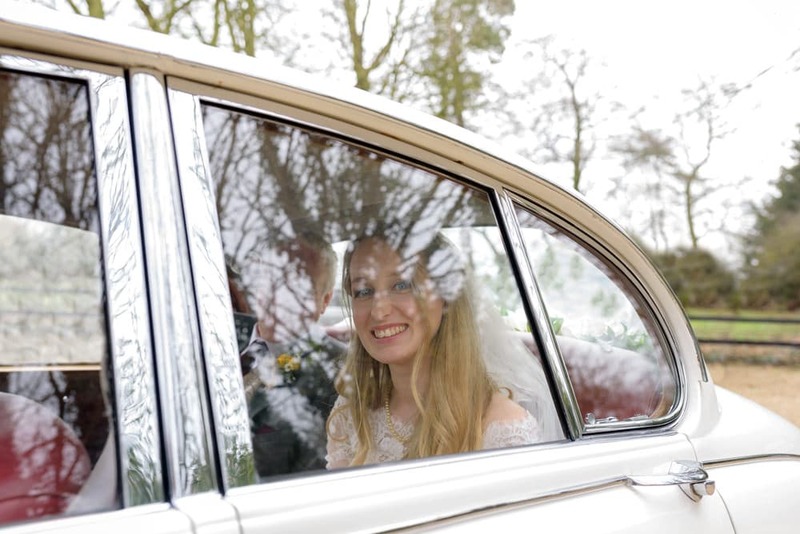 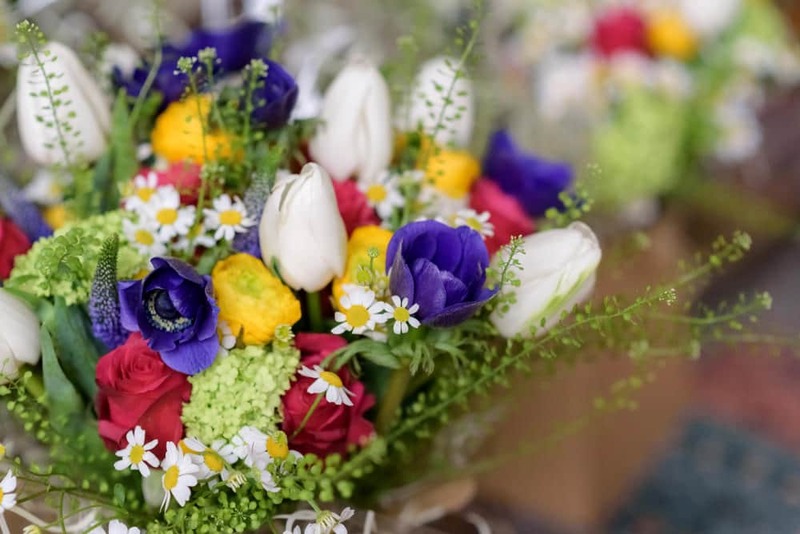 I was delighted to be Katie and Lucas’s Lains Barn wedding photographer for their beautiful Spring wedding. 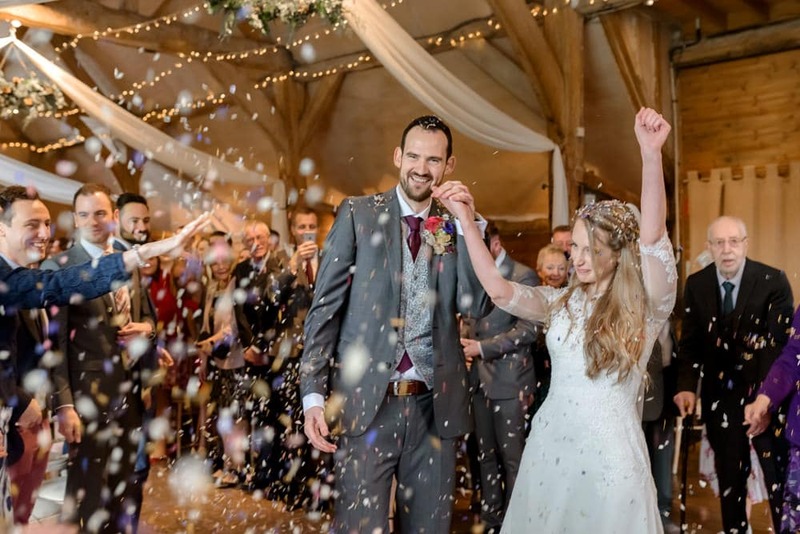 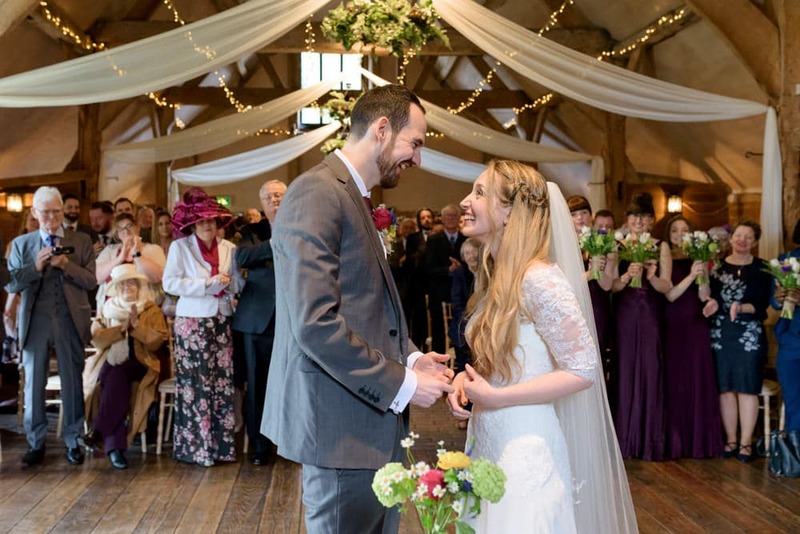 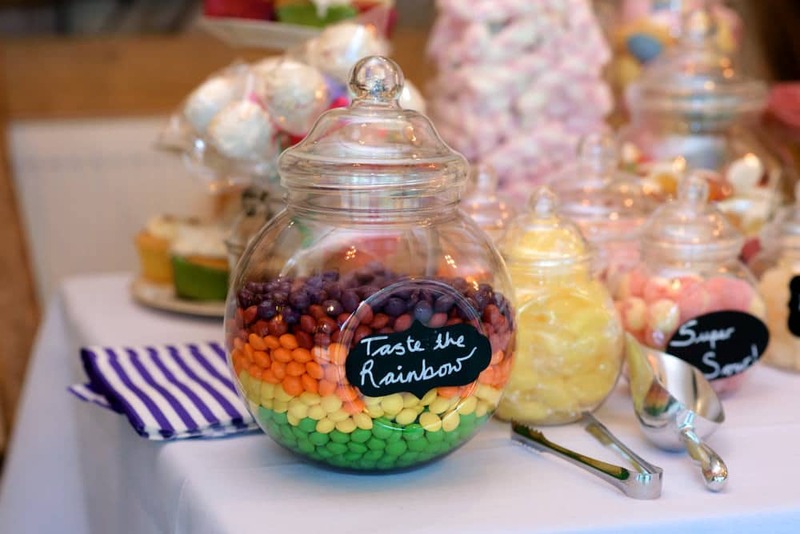 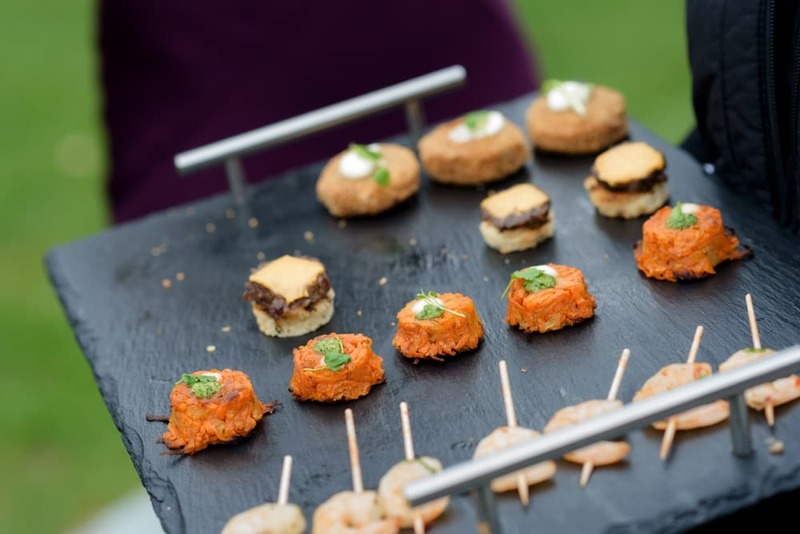 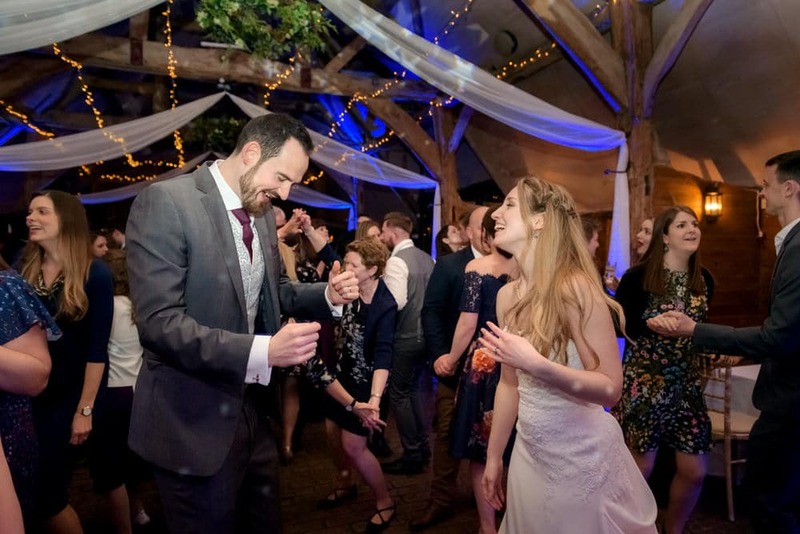 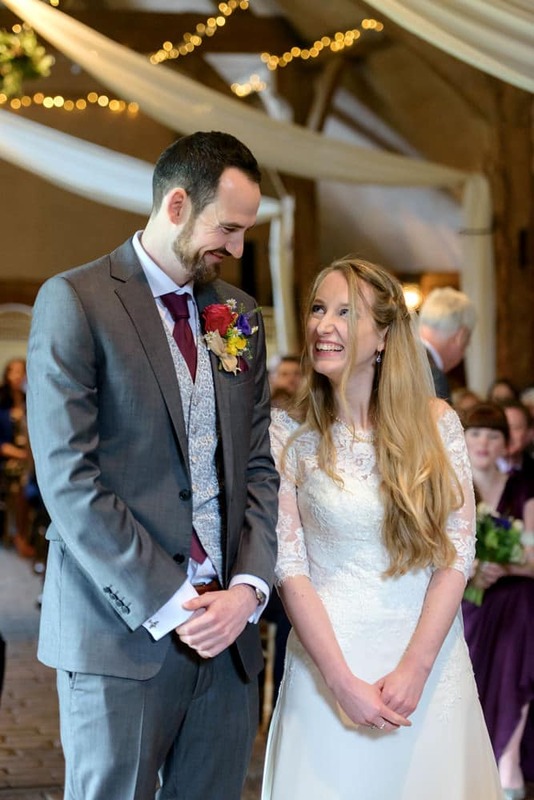 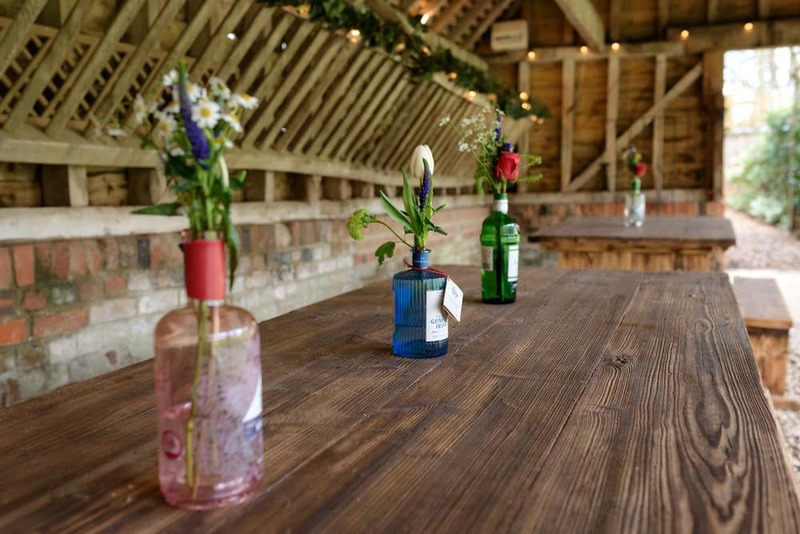 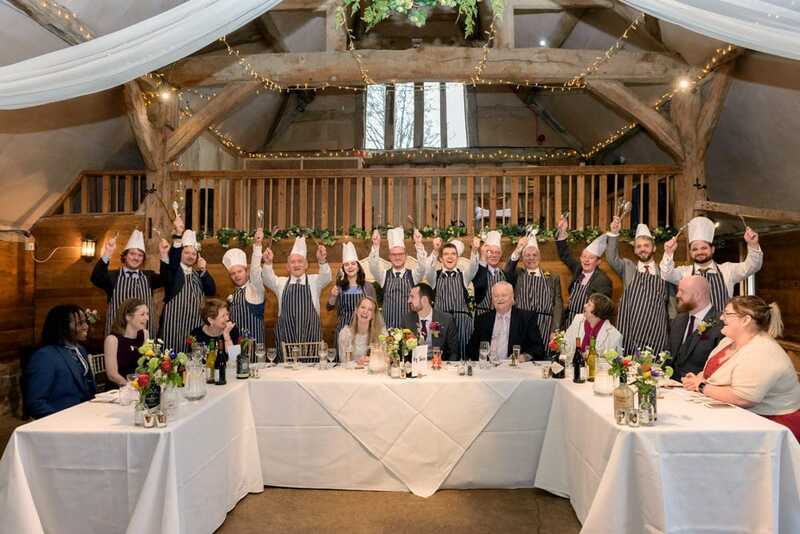 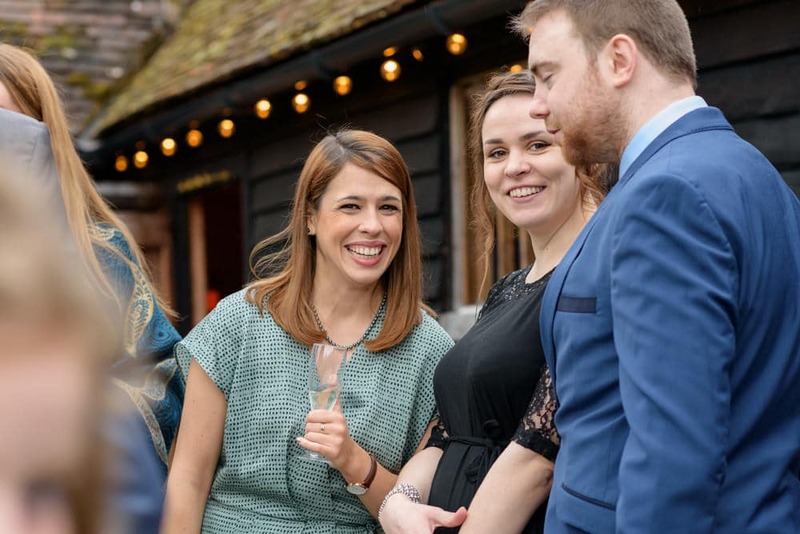 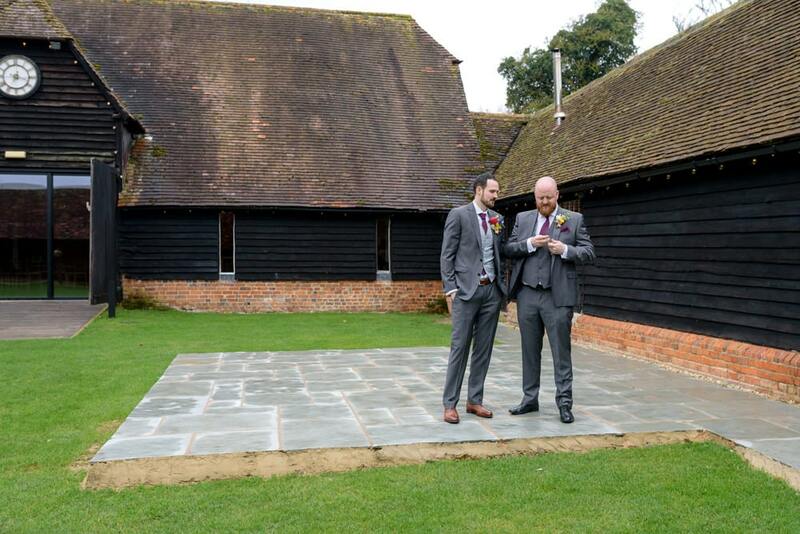 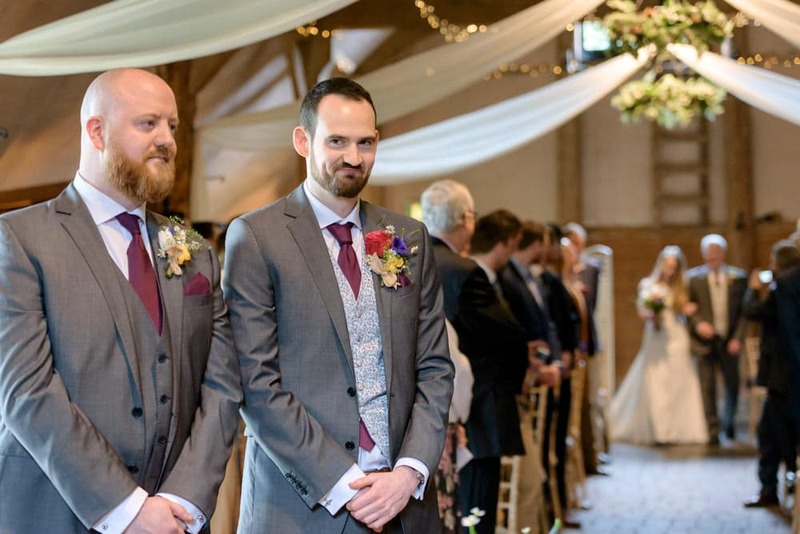 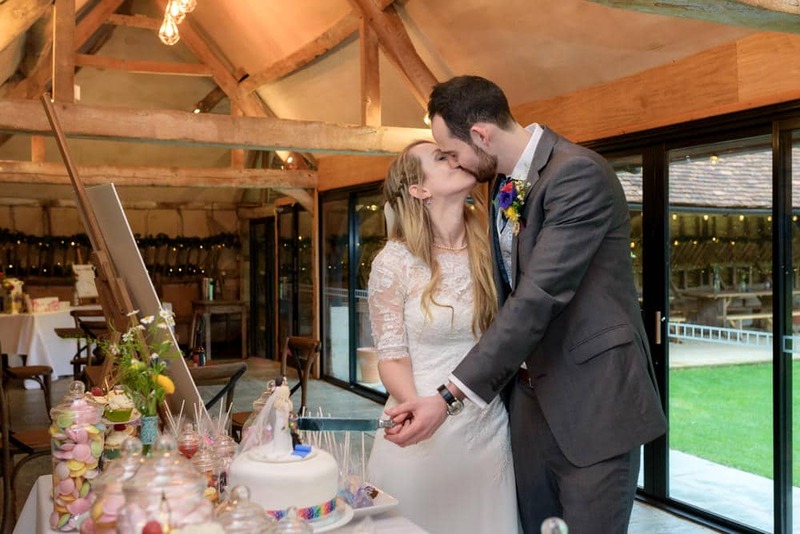 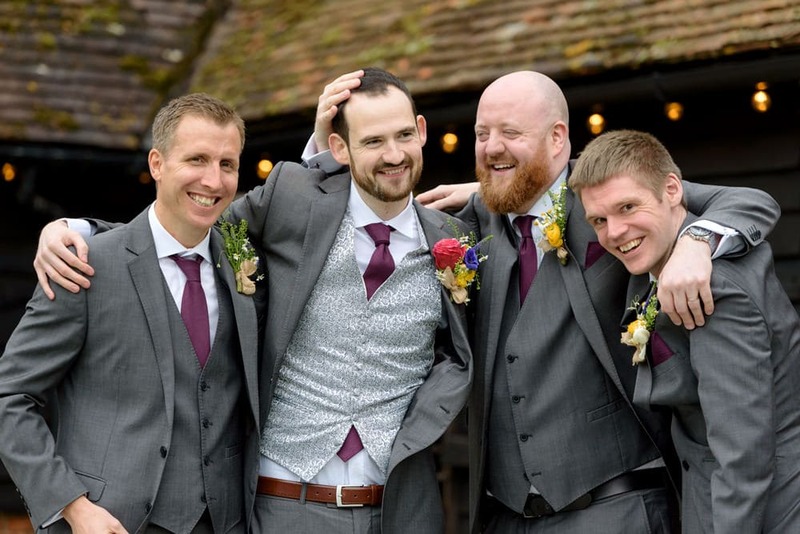 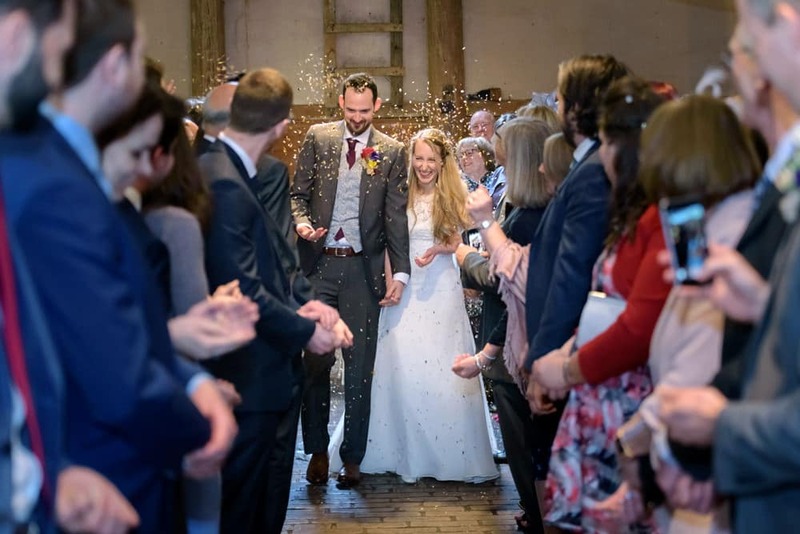 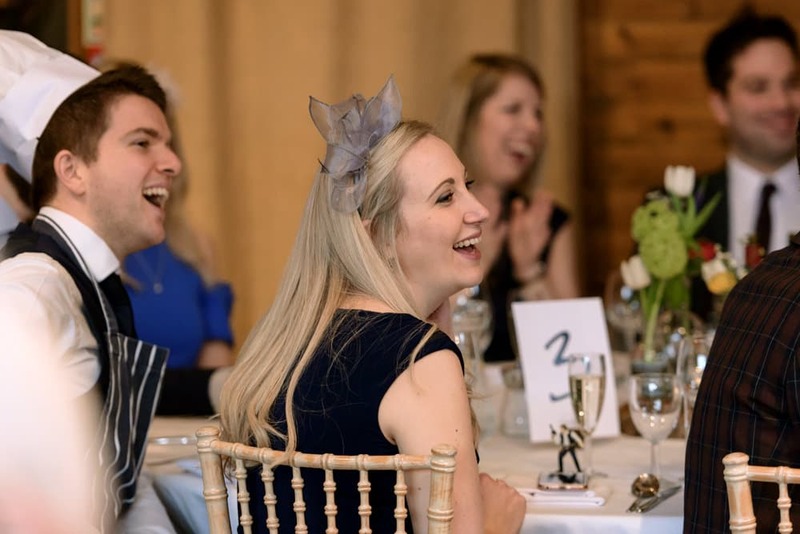 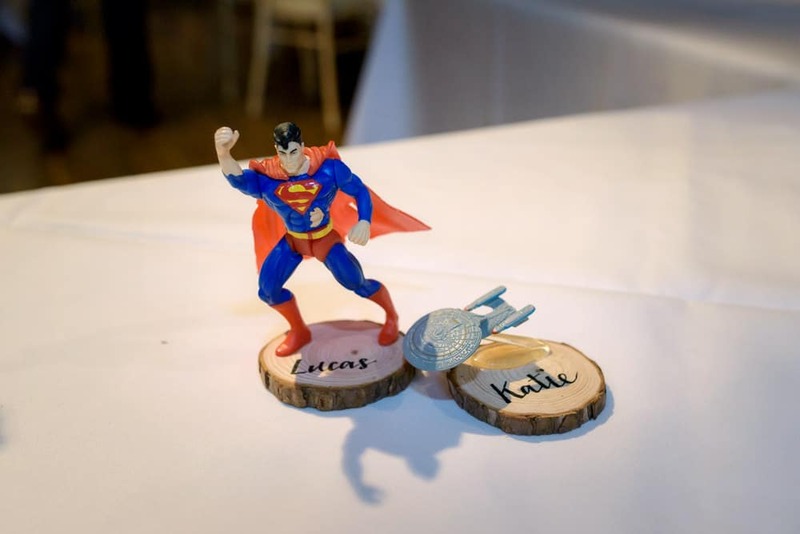 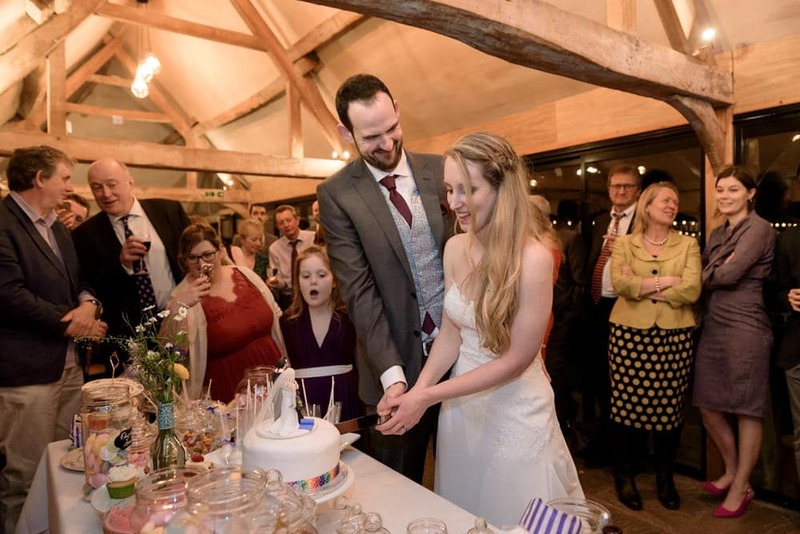 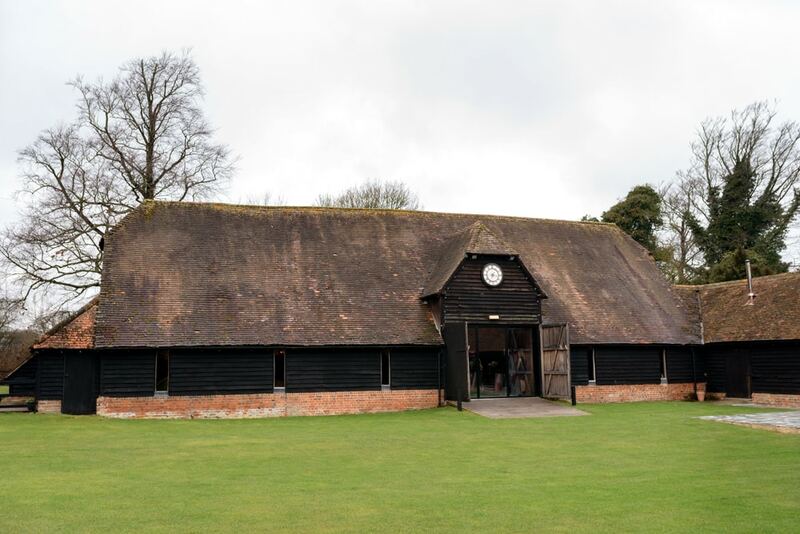 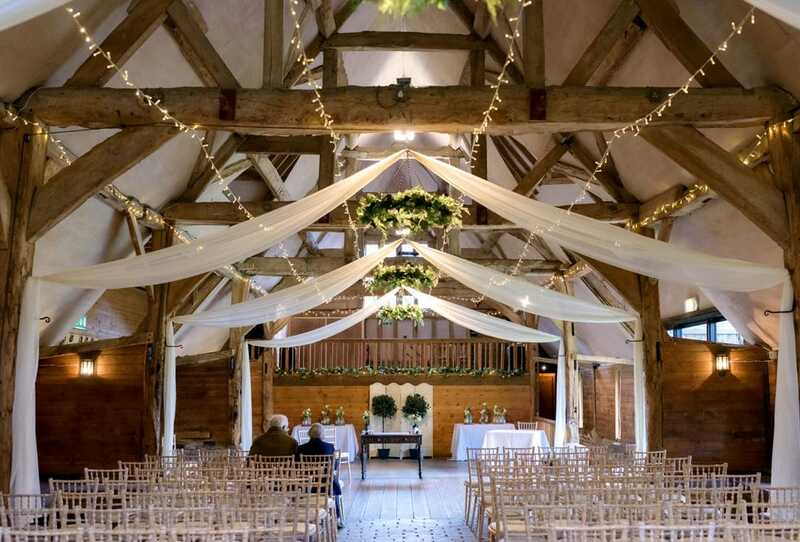 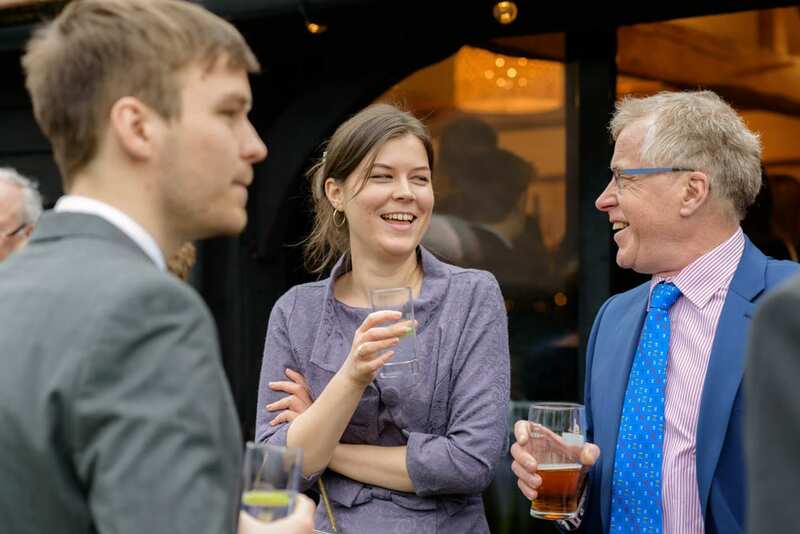 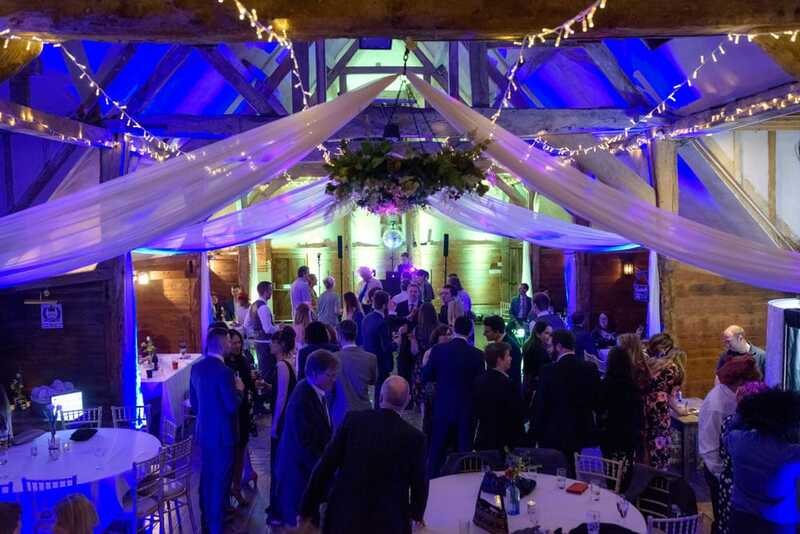 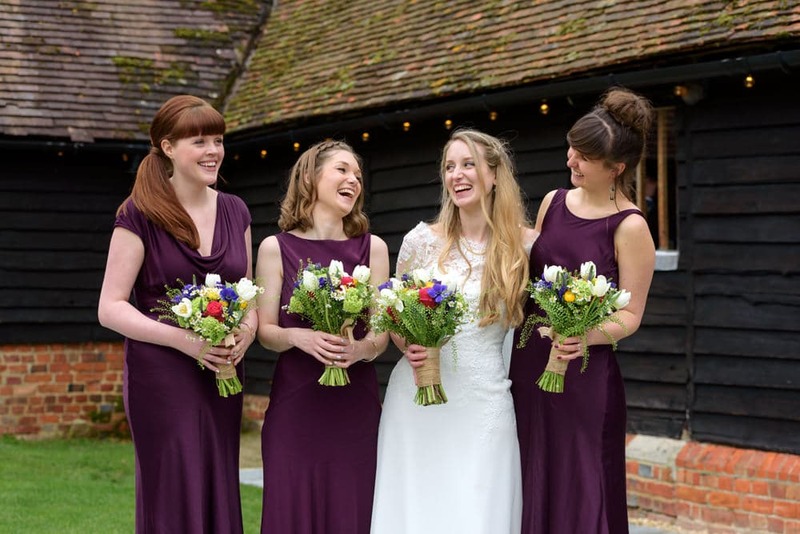 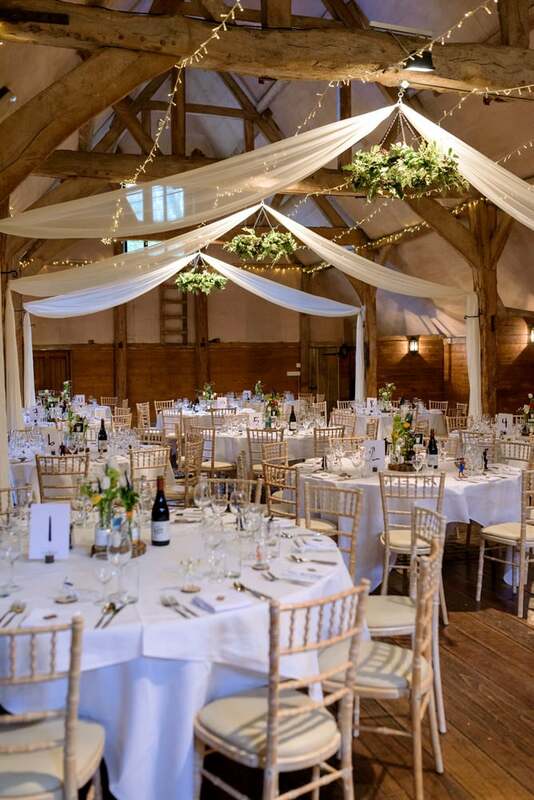 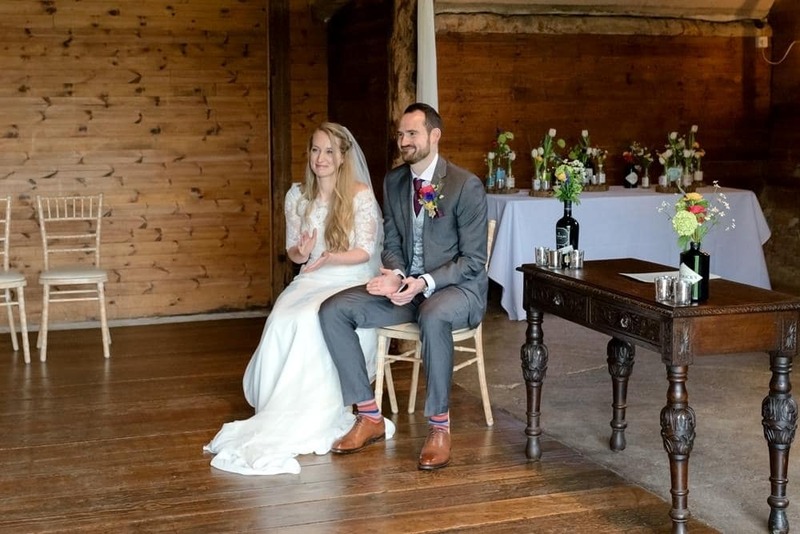 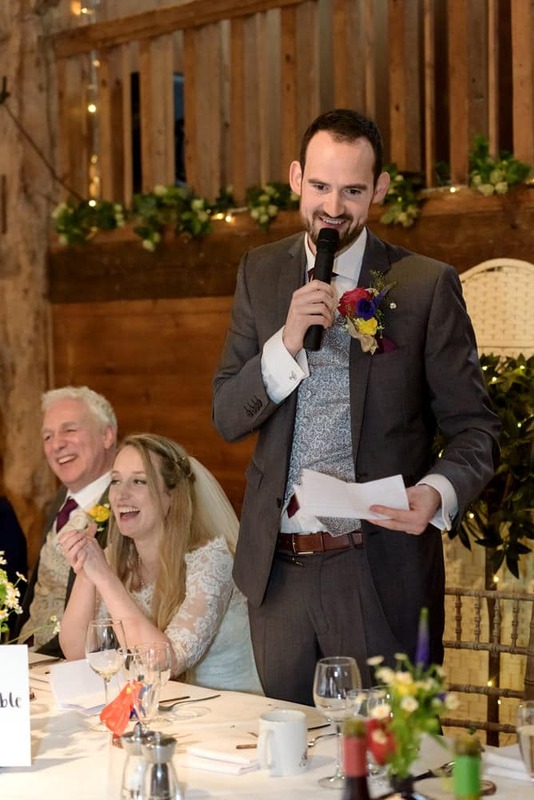 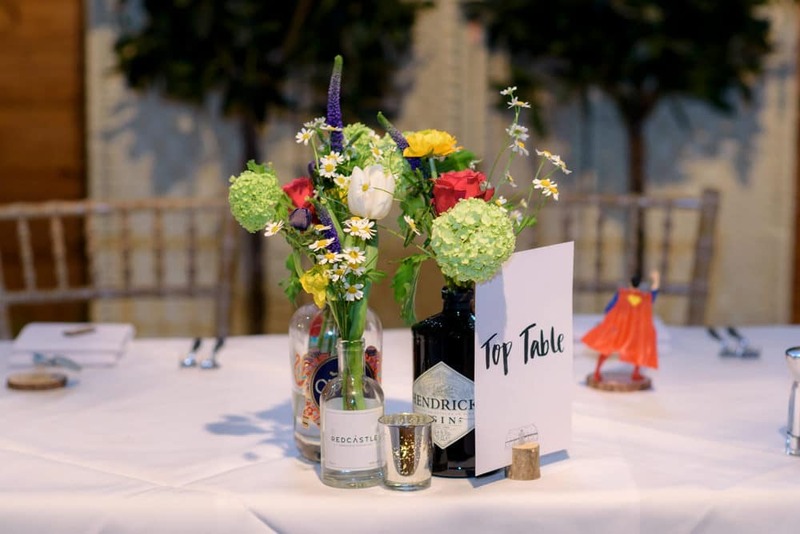 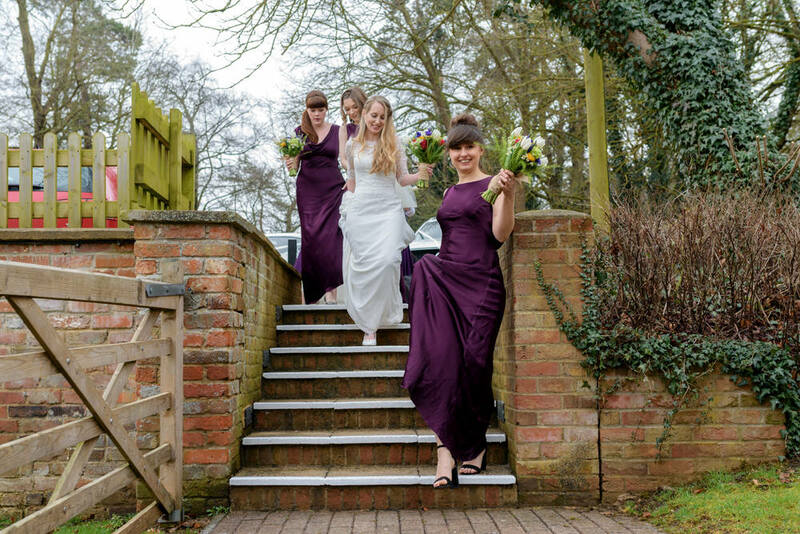 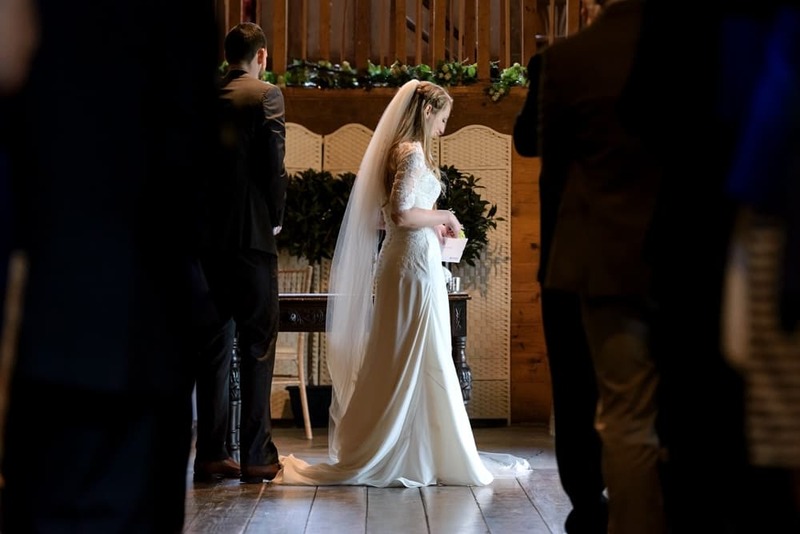 They had planned a relaxed and fun celebration with family and friends, which is just perfect for the rustic setting of Lains Barn. 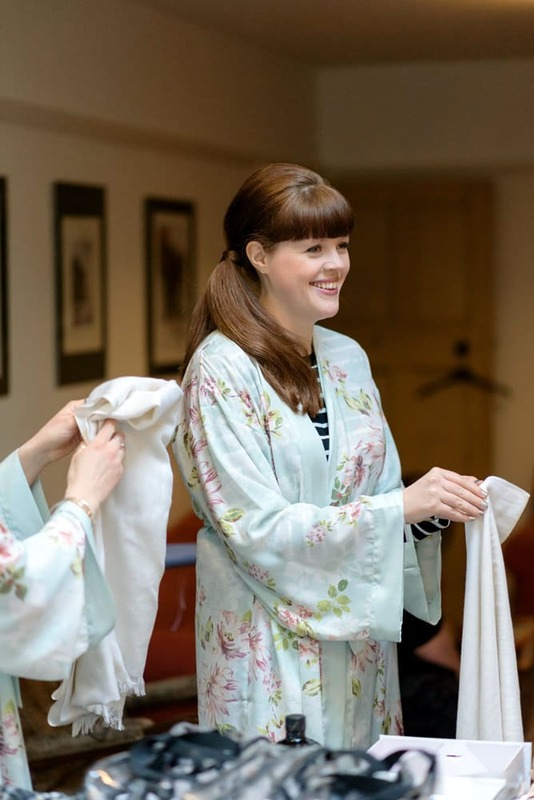 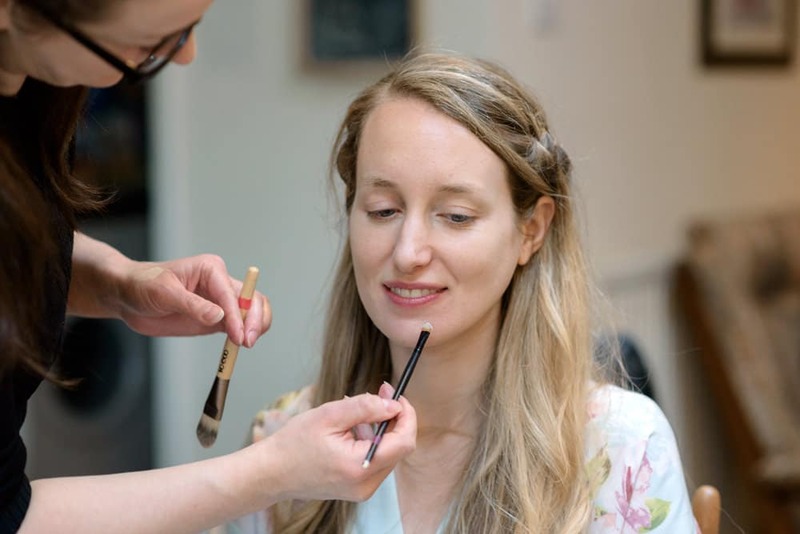 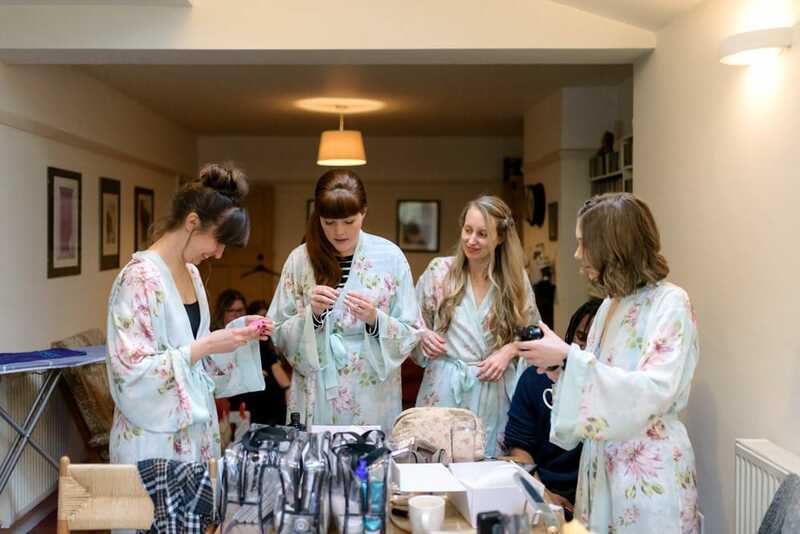 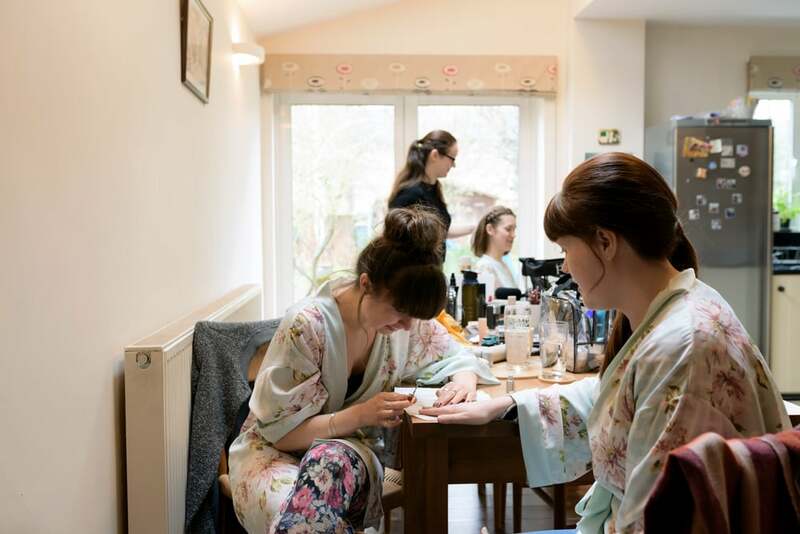 I met Katie for bridal preparations with her bridesmaids, who all had matching robes. 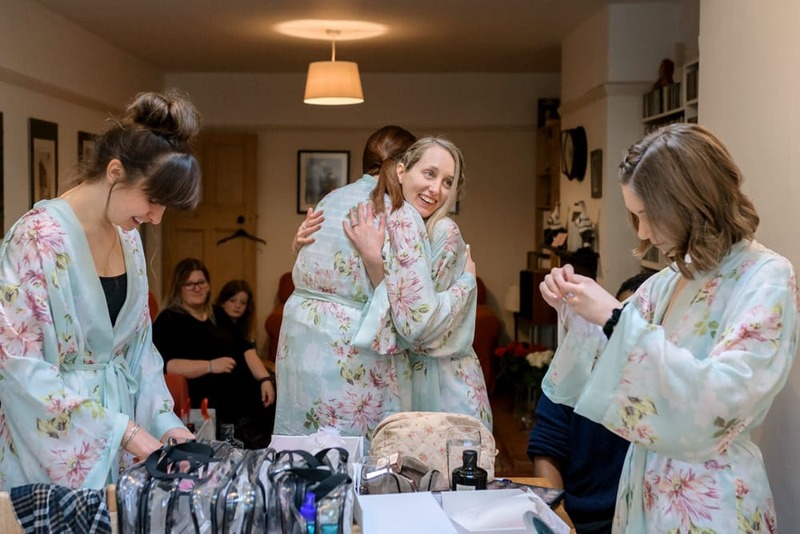 They opened their gifts from Katie and enjoyed a relaxed brinch with family. 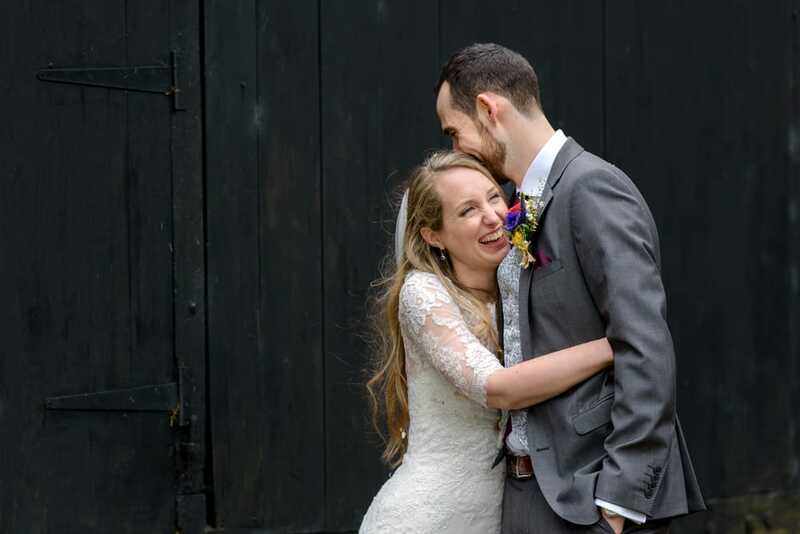 I headed over to the Lains Barn wedding ceremony for a few photos with Lucas before Katie arrived looking absolutely stunning. 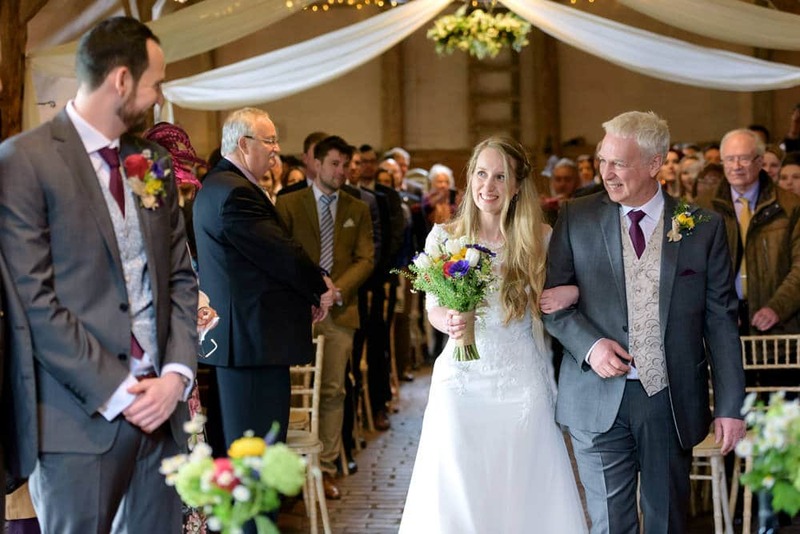 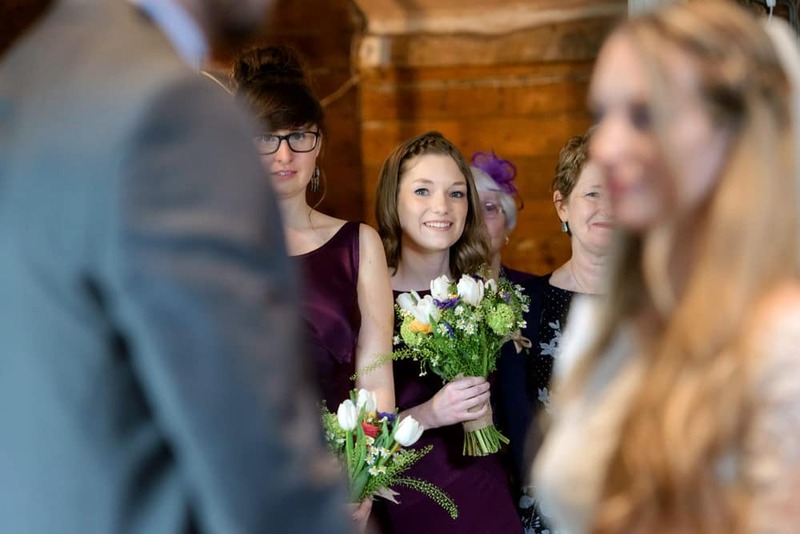 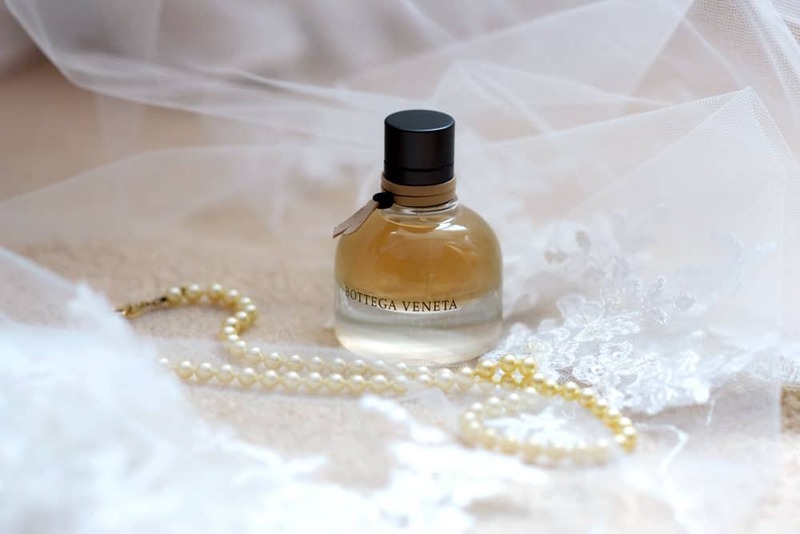 It was a wonderful moment as she walked down the aisle with her Dad to meet Lucas. 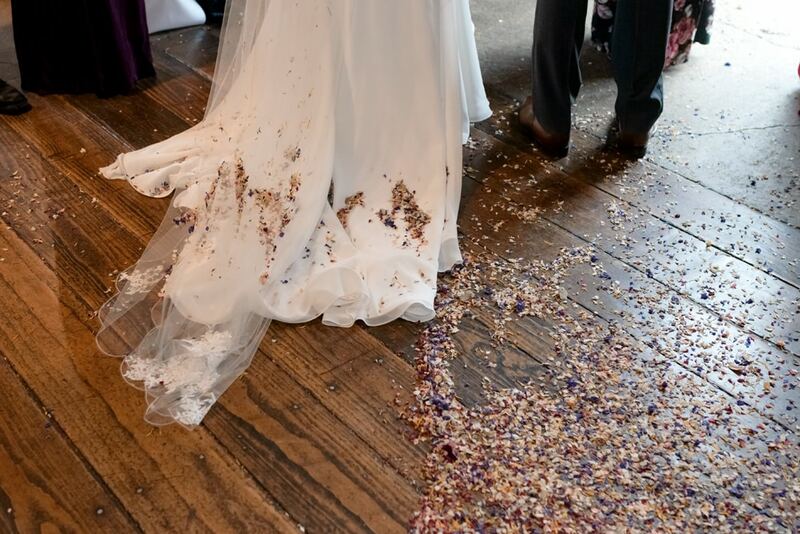 Due to the very rainy weather we threw the confetti indoors which was really fun and allowed everyone to get involved without going outdoors. 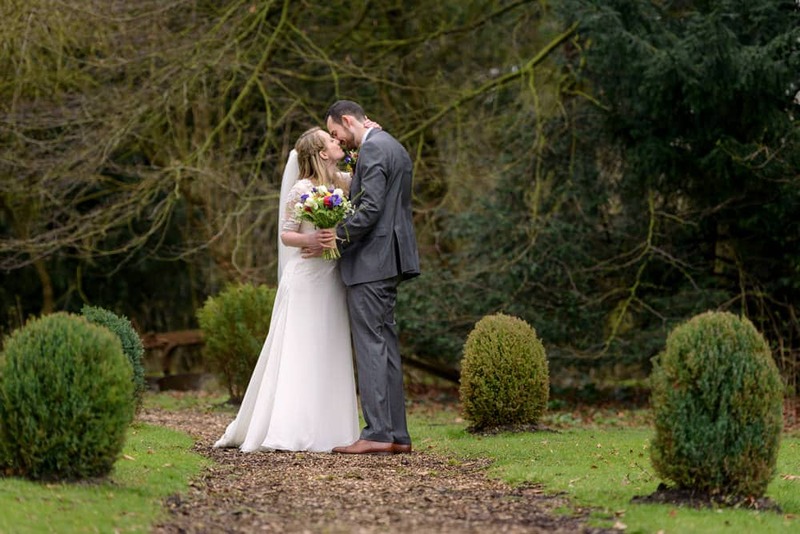 Katie and Lucas braved the cold for a few photos in the grounds before enjoying their wedding reception drinks. 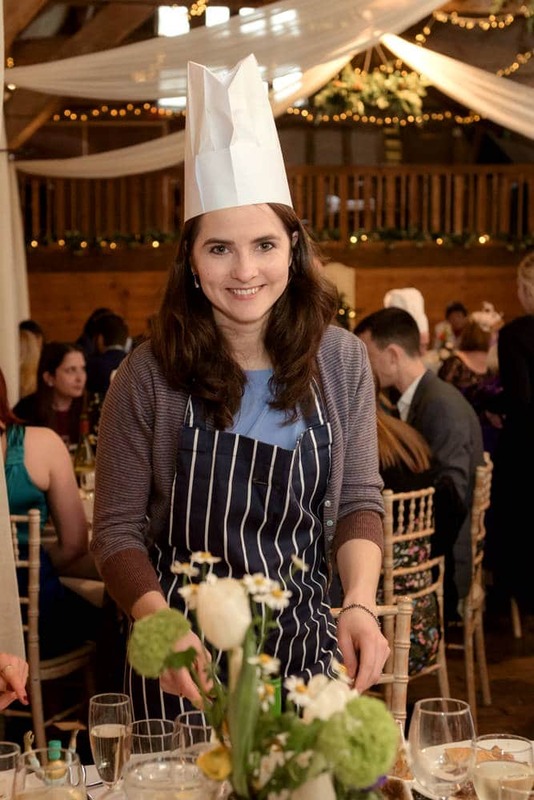 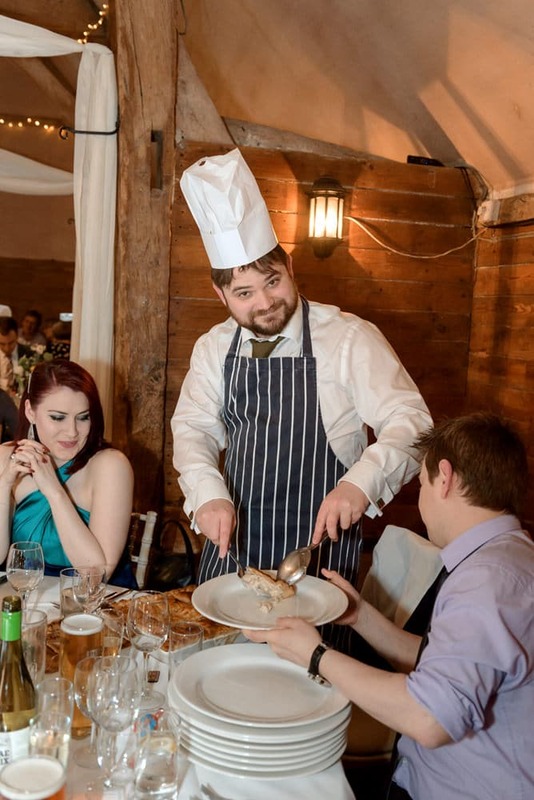 It was soon time for speeches and Pie Master, which is always a firm favourite with guests and so much fun to photograph. 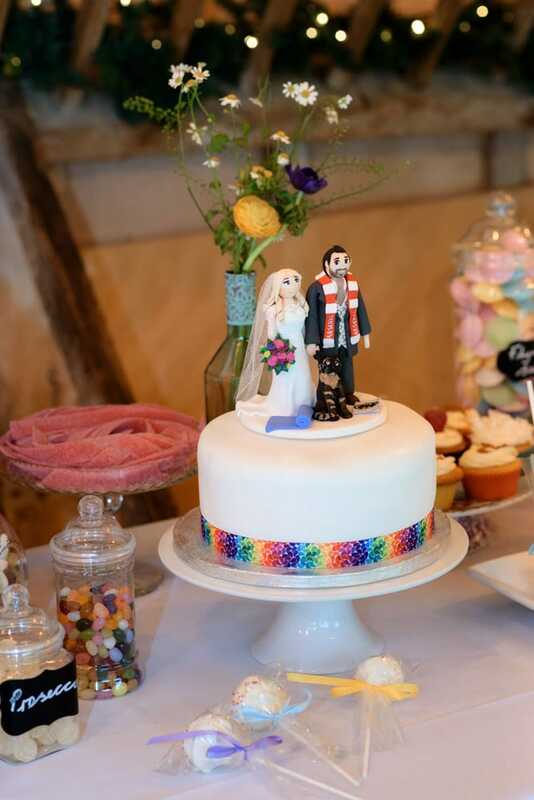 After the meal it was time for the cake cutting and dancing. 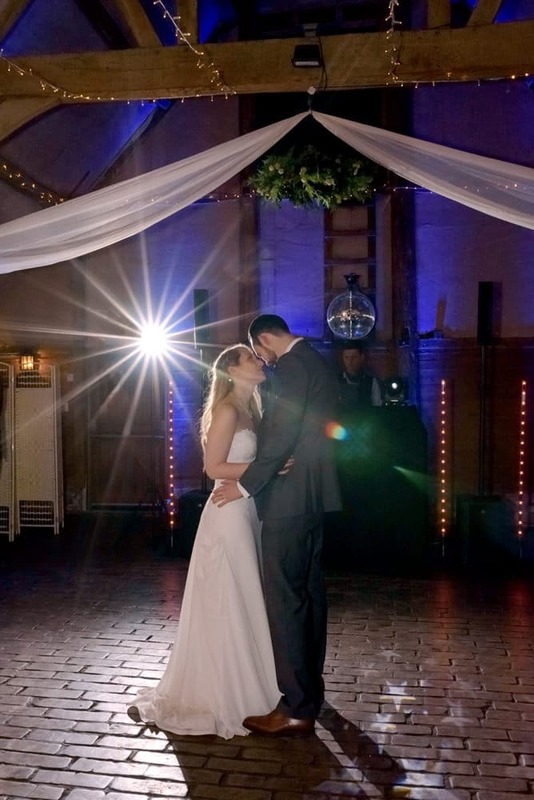 Music was provided by Matt from Visually Sound who is always professional and highly recommended! 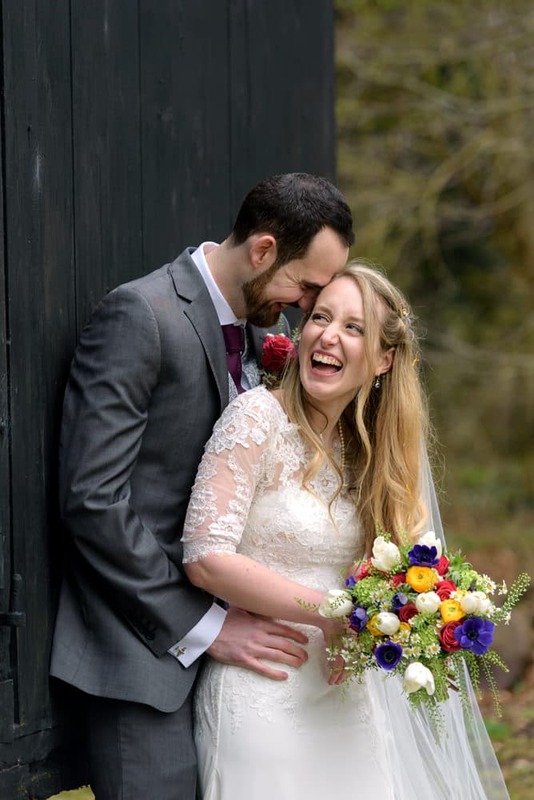 What a lovely day – thank you so much for asking me to capture it. 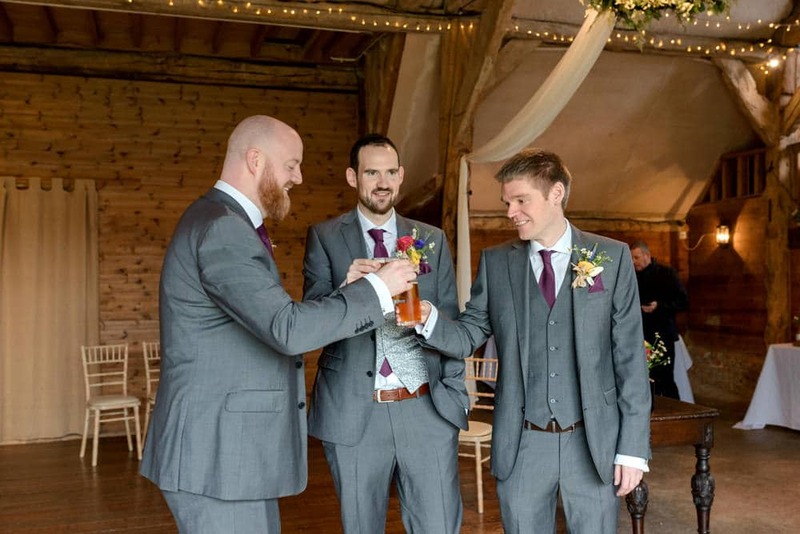 Wishing you all the best for the future!